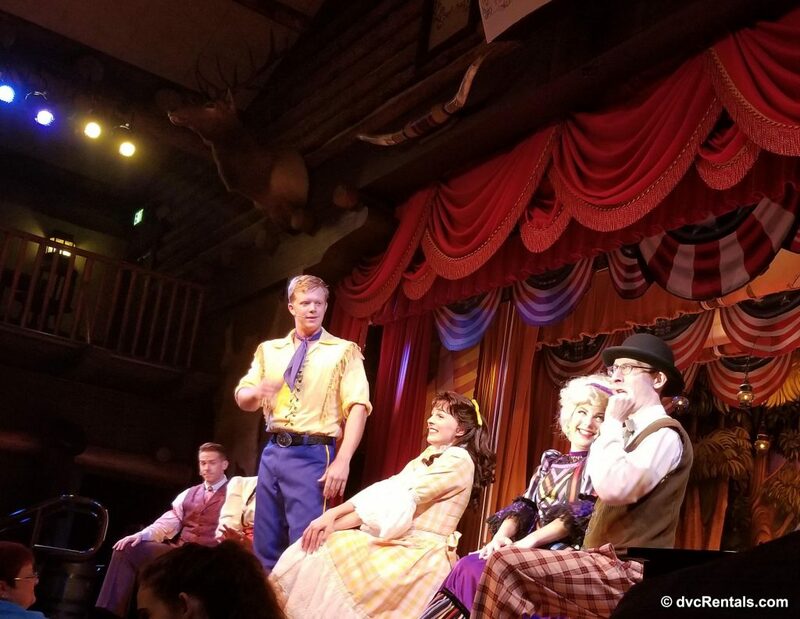 When talking about my love for Disney, a topic that comes up often is dinner shows; more specifically, the Hoop-Dee-Doo Musical Revue. 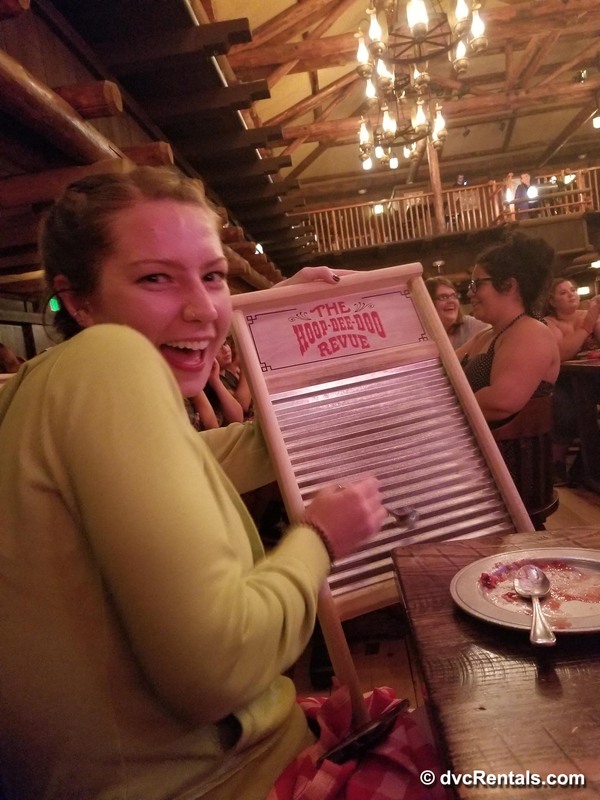 I LOVE the Hoop-Dee-Doo and never miss the opportunity to share with friends just how much I enjoy the show. 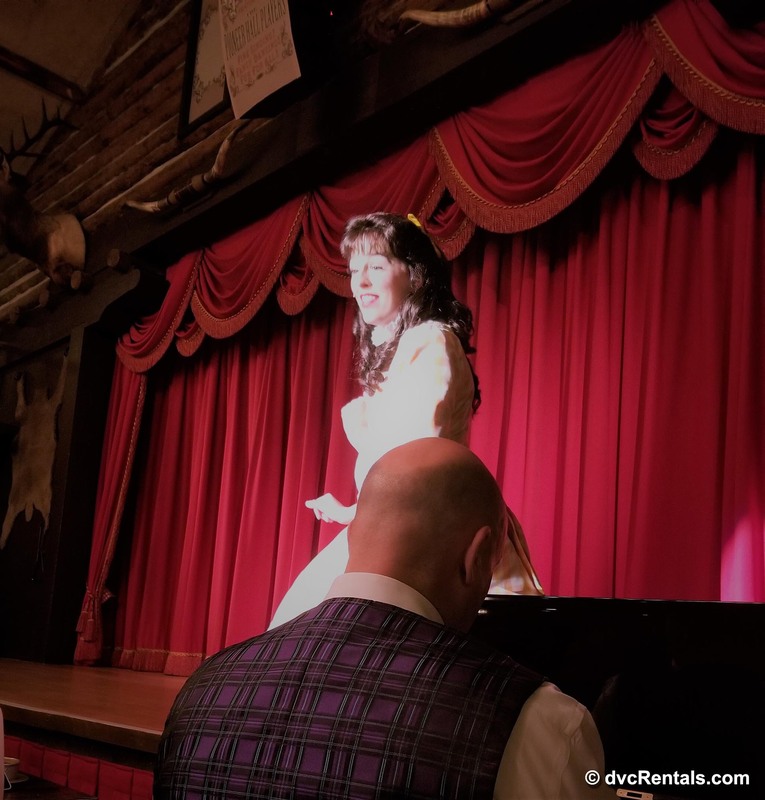 In my opinion, this vaudeville style show is a great way for family members of all ages to enjoy an evening together and create memories that can last a life time. 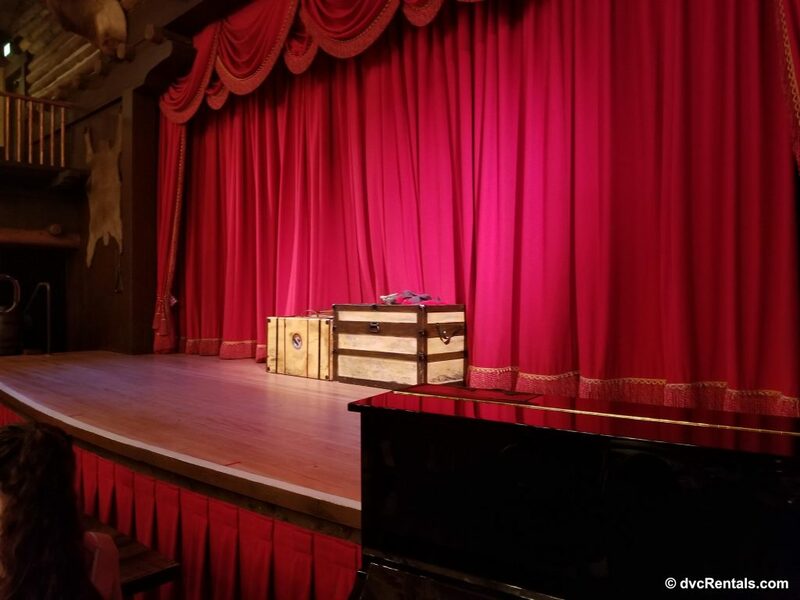 Having debuted in 1974, this dinner show has been running at Walt Disney World for more than 40 years and remains popular amongst guests of all ages. Even with 3 performances a night (4:00 pm, 6:15 pm, and 8:30 pm) it often sells out; advanced reservations are strongly recommended. After checking in at the outdoor booth, the doors to Pioneer Hall open and guests are promptly called in for dinner. This is when the fun begins! From the moment I enter the grand hall and see how all of the tables are positioned for views of the stage, there’s a feeling of excitement. One of the great things about this show is how much fun it is. 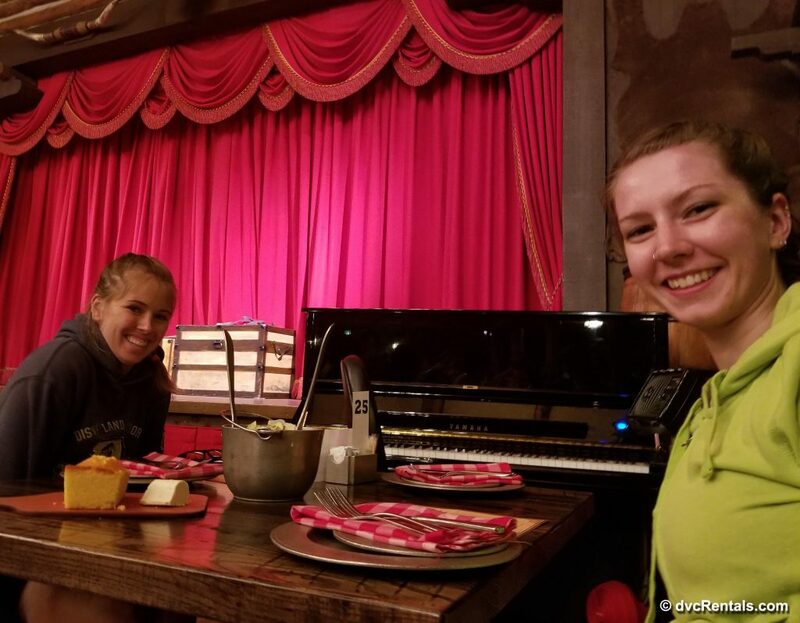 Not only do the entertainers on stage keep you smiling, the servers add to the experience. Their lighthearted personalities and whimsical sense of humor enhance the evening (spoiler alert; by the end of the night you may even see them dancing on stage). Another enjoyable element is that audience participation is encouraged. 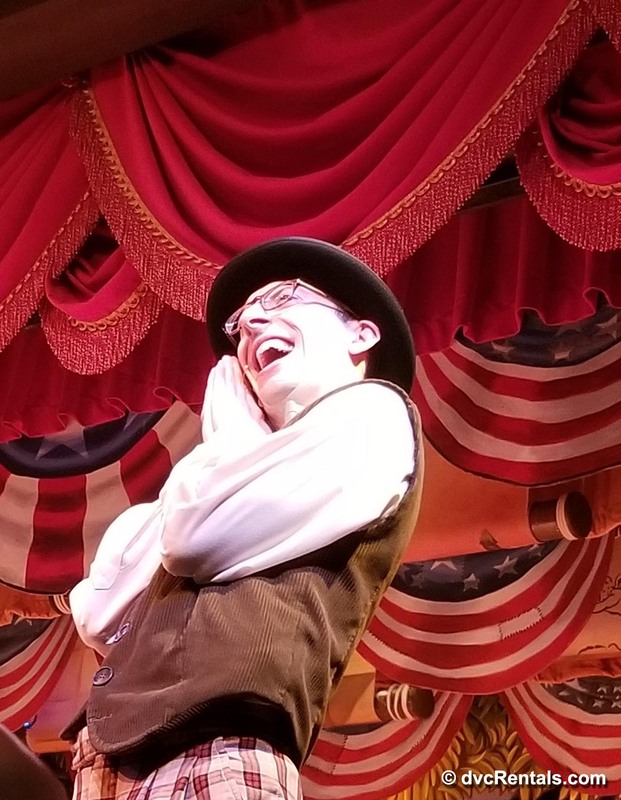 This can range from having your birthday announced, singing along with the performers, to even more (which I won’t spoil for those readers who have not yet seen the show). 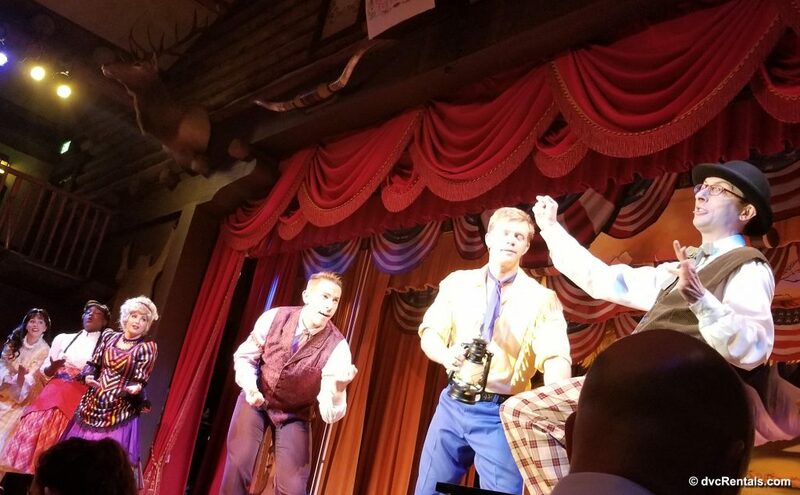 I have to admit, when I look around and see other guests laughing and having a good time, it adds to my overall enjoyment of the show. The cast is composed of 6 traveling actors, the Pioneer Hall Players, who have arrived just in time for tonight’s performance. Each character has a unique personality and combines for the perfect mix of beauty, banter, and boisterousness. Throughout the evening, guests are treated to heartfelt ballads as well as high energy songs that make it virtually impossible not to clap along. Accompanied by a pianist and banjo player the performers each work to be the star of the show. My personal favorites have always been Six Bits Slocum and the banjo player. Throughout the night you can easily forget it’s 2017 and feel as though you’ve been transported back to the golden age of vaudeville. Another critically important element to a successful Dinner Show is the food. 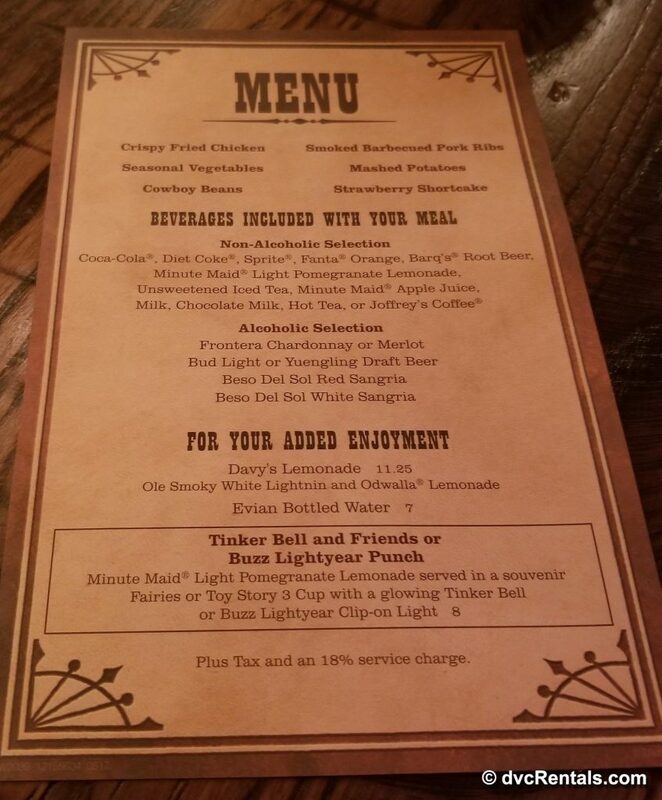 I’ve always left the Hoop-Dee-Doo Musical Revue being pleasantly stuffed. 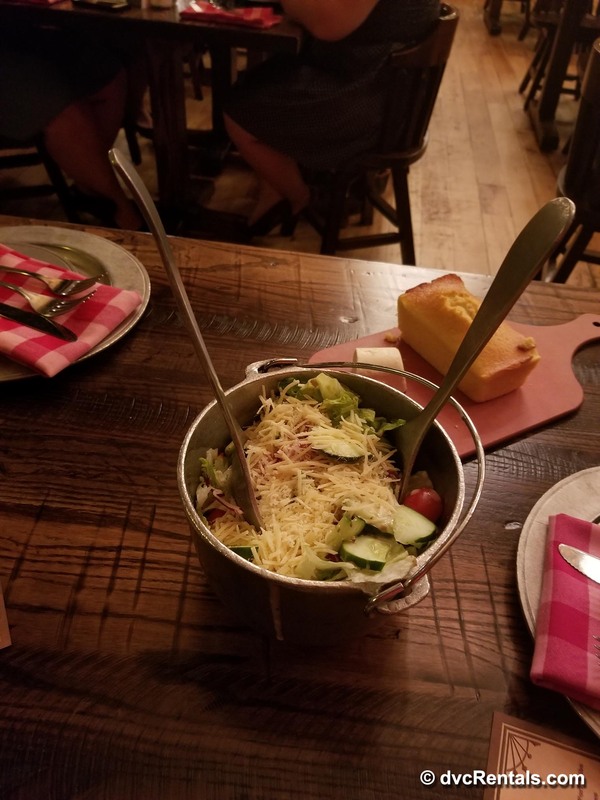 The 3-course meal is served family style in metal buckets. 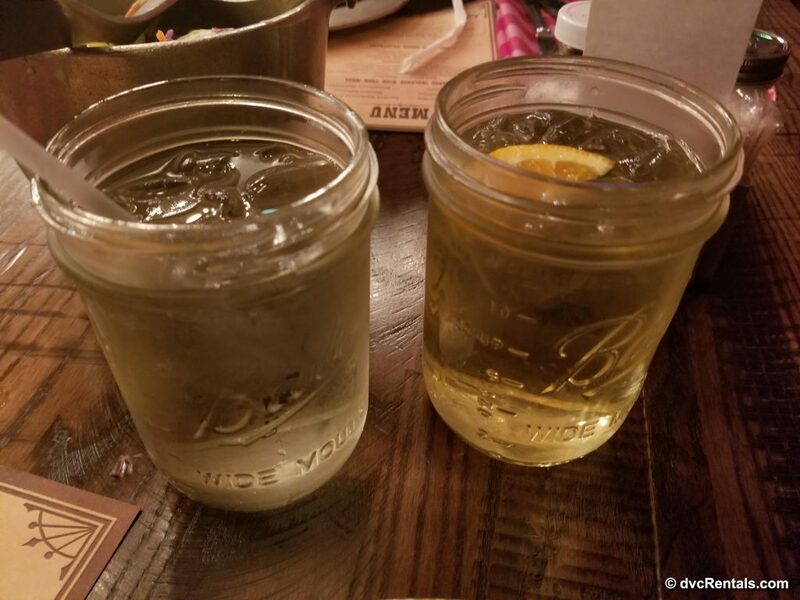 Drinks are delivered in mason jars and be sure to keep a hold of your napkin and spoon; you’ll need them at the end of the night! Having been numerous times, I’ve developed an irresistible craving for both the cornbread and the fried chicken. Both have made such wonderfully delicious memories; they keep me going back time and time again. 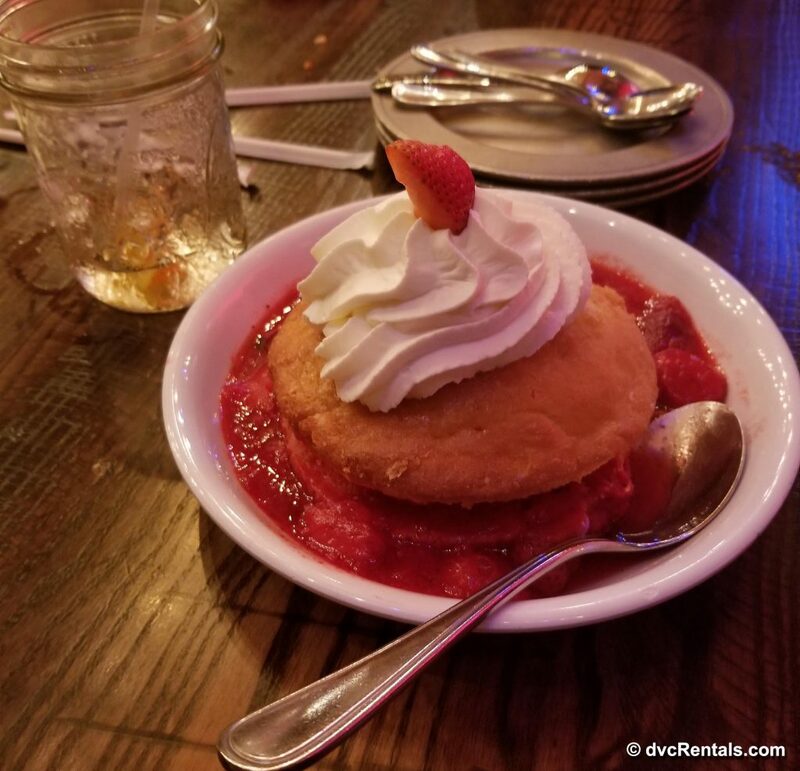 When it comes to ordering cornbread in restaurants it can be hit or miss, and I have to say, here it has always been a hit! 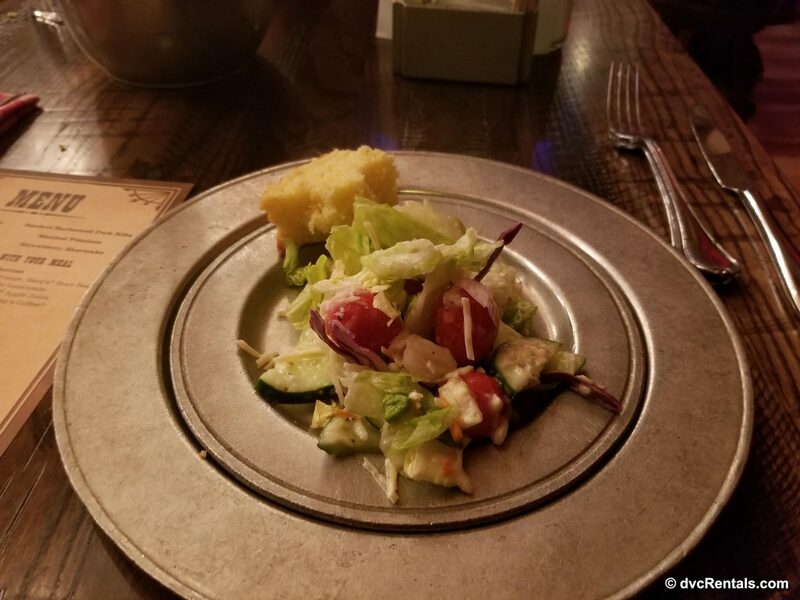 Our servers have also always been great at making sure we don’t run out of our favorites. 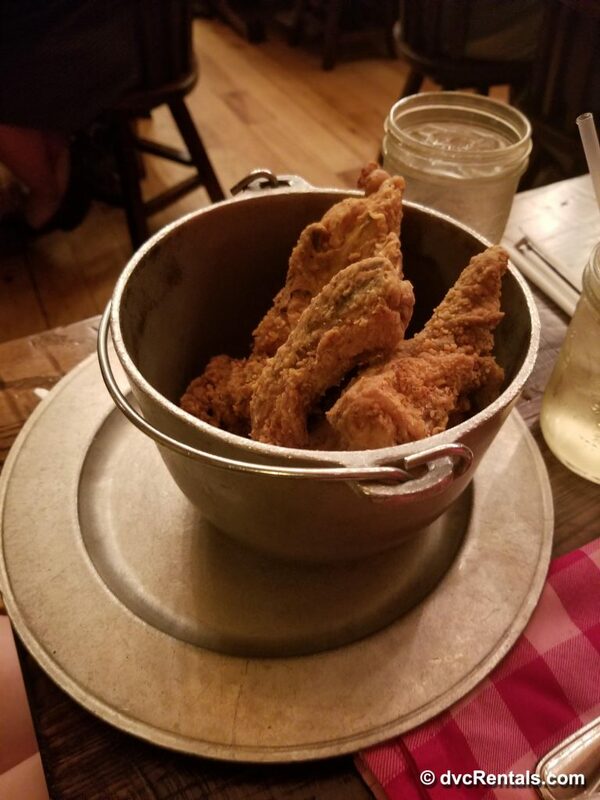 They will happily bring another bucket when you’re running low of whatever fixin’ you fancy. 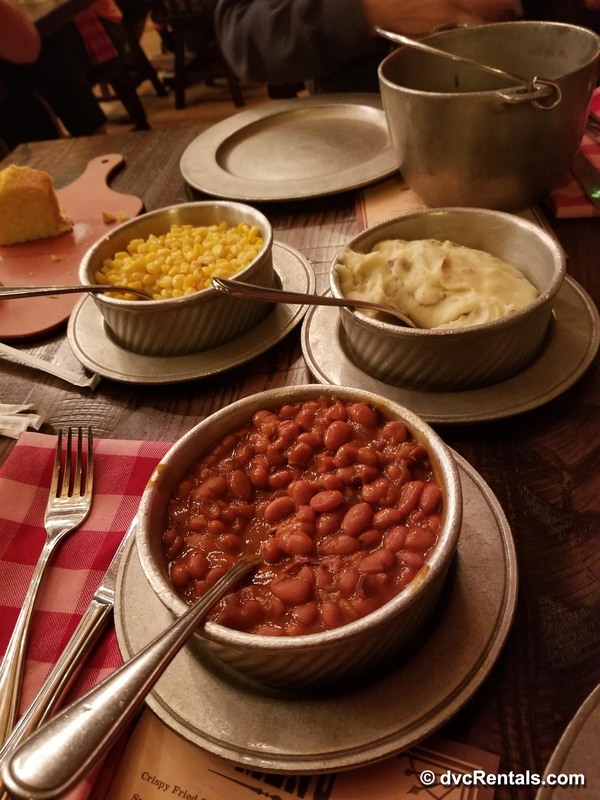 In additional to the cornbread and fried chicken, guests are also served; garden salad, BBQ pork ribs, baked beans, mashed potatoes, corn, macaroni and cheese and then dessert – strawberry shortcake. This mix of good ol’ BBQ is a meal that does not disappoint and appeals to many. Hoop-Dee-Doo is by far my favorite Disney dinner show. 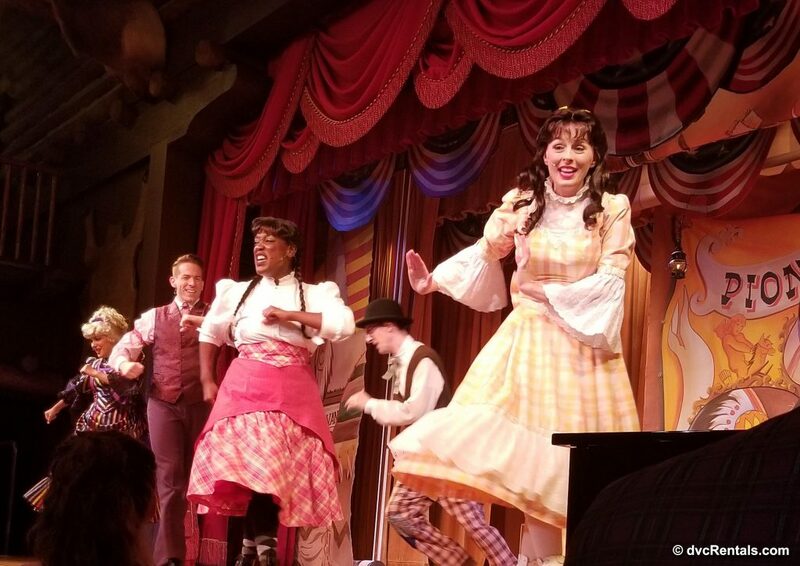 It’s packed with singing, dancing and a healthy dose of humor which has me smiling the entire time I’m in Pioneer Hall. 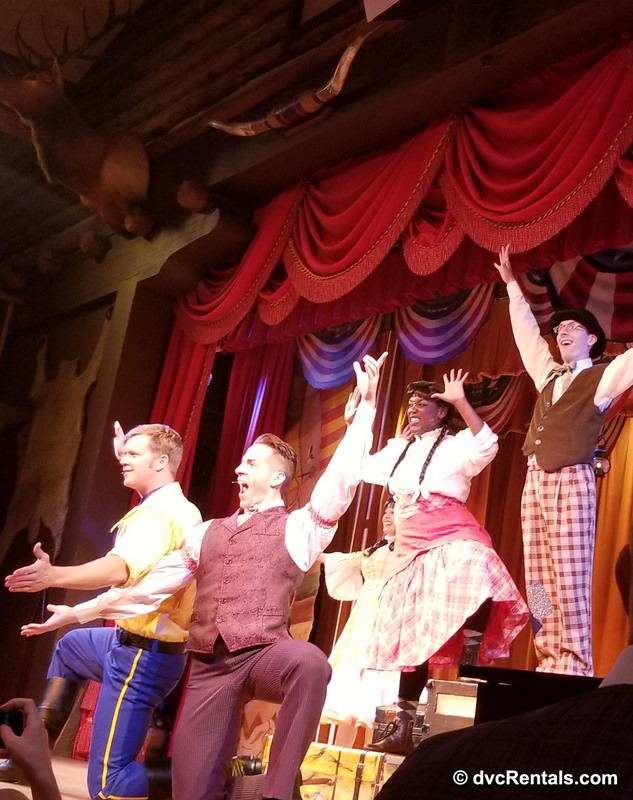 The next time you’re in the mood for classic vaudeville paired with an endless supply of delicious food, my recommendation would be to enjoy the hilarious hootenanny that is the Hoop-Dee-Doo Musical Revue. 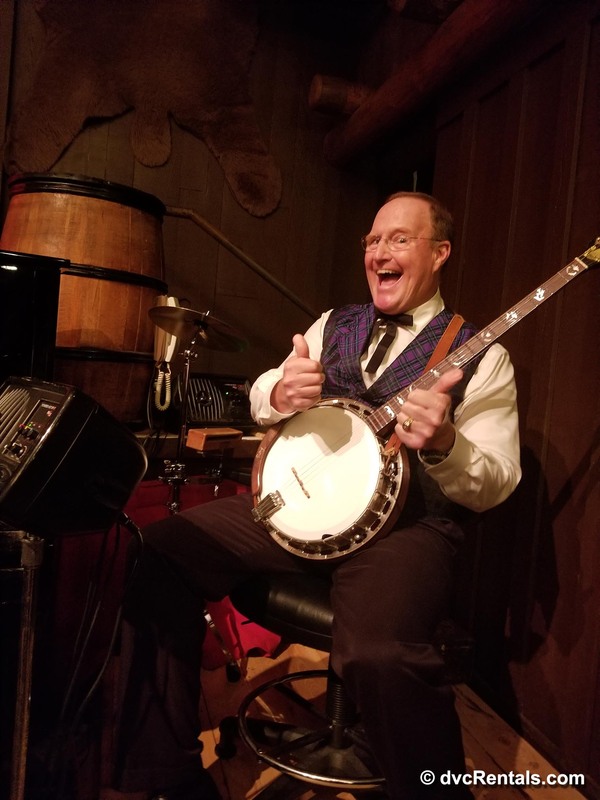 3 thoughts on "Come and Enjoy the Hilarious Hootenanny of the Hoop-Dee-Doo Musical Revue"
Love this actor! 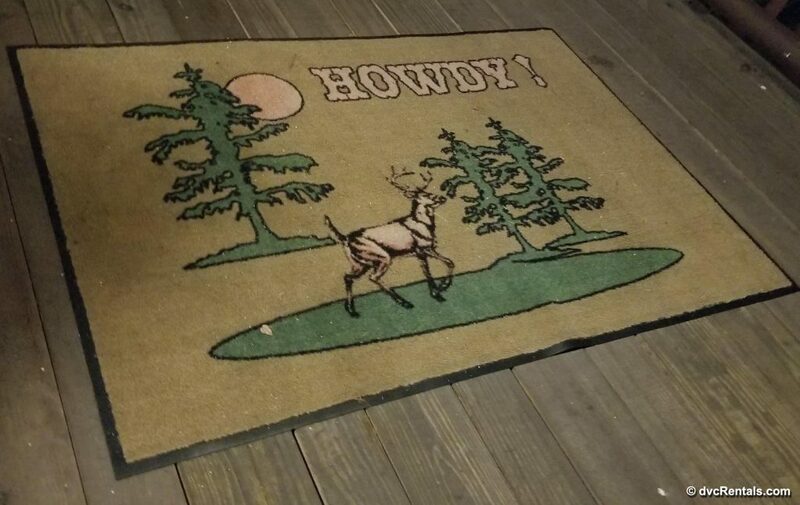 He used to play Bucky Greenhorn on the Streets of Hollywood!